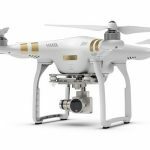 If you literally want to take your photography to new heights and capture breathtaking pictures and videos you’ll need the DJI Phantom 2 Vision + drone. The quad-copter is a lot of fun to fly and, thanks to the built-in full high definition camera onboard capable of taking 14 megapixel stills, you can capture angles that would have previously required a helicopter to capture. 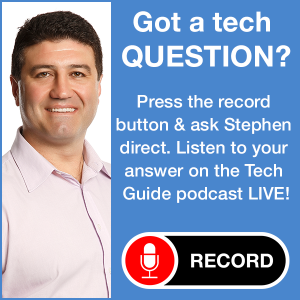 Tech Guide’s reviews unit was supplied by Sphere – Australia’s largest drone retailer – and they got us up and running with some flying lessons before we took off on our own. 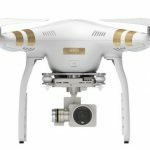 The DJI Phantom 2 Vision + is steered with a remote control while a transmitter relays the live first person video feed from the drone to the DJI app on your smartphone. There is also GPS onboard so drone will always know its co-ordinates – an important feature if you try to fly too close to the airport. The results are jaw-dropping images and videos that give you a bird’s eye view of your location and an all-new way to capture unique images. The DJI Phantom 2 Vision + has four plastic props atop four high-powered motors at the end of each arm of the drone. From motor to motor the drone measures about 40cm wide and propeller tip to propeller tip takes that out to 60cm. The main body of the craft houses the battery compartment and the support for the gimbal that supports the camera and takes the shakes out of your videos. The landing gear comes down on either side of the camera and also serves as protection for the camera in the event of a rough landing. Hanging from the gimbal is the silver Vision + camera which has a microSD card slot to store your captured pictures and videos. 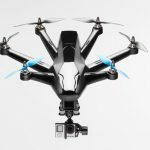 There are also indicator lights on each of the four arms of the quad-copter that gives the pilot a visual cue to the drone’s status and battery level. The DJI Phantom 2 Vision + is surprisingly simple to fly. The remote control has two main joystick controls on the left and right. Also on the controller is a range extender that can create a wireless connection between the drone and the DJI app. The left joystick takes the flying camera up and down and rotates it left and right while the right joystick takes you forward, and back and side to side. Obviously the direction the camera points is the front of the drone and whenever you push the right joystick forward its going to fly in that direction. This is something you need to keep in mind when you turn the drone around and need to fly it back to you. Same thing applies when you want to pan the quad-copter left and right. But this didn’t take long to get used to and pretty soon we were flying confidently and capturing some great images and videos. 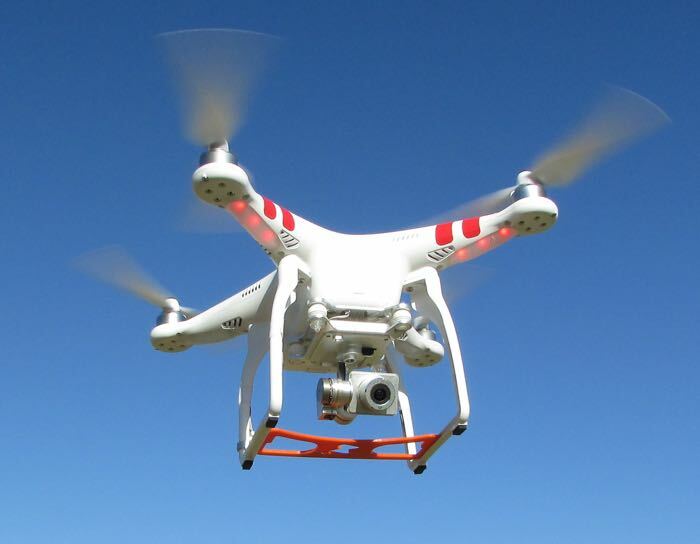 The DJI Phantom 2 Vision + is also pretty fast – it can ascend and descend and fly at up to 15m/s in any direction. It’s possible to control the craft from 700m away but CASA (Civil Aviation Safety Authority) says it must be kept within line of sight and to a height of no more than 120m. But if you do get into trouble and lose control of the drone there is an excellent “Coming Home” feature. On flick of the right small level on the top of the controller activates this safety features and the drone then automatically ascends to a safe height and slowly makes its way back to you and lands by itself almost exactly from the spot it took off from. We only had to engage this feature once when we took off and a strong wind gust pushed the drone towards traffic. “Coming Home” got us out of trouble and, after fighting against the wind for a minute or two, it eventually landed at our feet without incident. 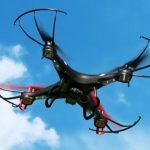 Pilots are advised they are not permitted to fly their drone over other people’s houses, crowded areas and at least 30m from roads and buildings. The DJI Phantom 2 Vision + works with an excellent DJI Vision iOS and Android app. Before take-off you connect to the drone’s wi-fi network so you can not only see what the camera sees on your smartphone’s screen but you can also control the camera’s tilt angle. To pan the camera left and right you simply turn the drone. The controller has a clip that positions your smartphone to be easily viewed while both hands are on the controller. This versatile app activates the camera during flight to take pictures or start shooting video and you can see the results instantly. Users can also see other information like GPS position, distance from the take off point, altitude and speed. Because the app taps into the drone’s GPS position you can set a home point at take off and even plan waypoints for your flight. You can access the map of your location and tap on the screen to set these waypoints including altitude changes before the DJI Phantom 2 Vision + flies that set course and returns home to you. From the app the pilot also receives warnings when they are within five kilometres from an airport and suggests maximum altitudes. You also get a warning if you’re within 5.5km of the airport which flashes on the middle of the screen. The included Vision + camera takes excellent pictures and videos. It has a resolution of 14 megapixels with a FOV (field of view) lens of up to 110 degrees. On the video side it can capture full high definition footage at 1080p/30fps (frames per second), 1080i/60fps and 720p/60fps. This can be adjusted from within the app. Still images have a resolution of 4384 x 3288 so they are quite large which means you can crop an image down and still be left with a high resolution image. The Vision + camera doesn’t record any sound on your videos. The camera is held in position by a gimbal with three-axis stabilisation so the lens is always kept on the horizontal and your videos stay smooth and true. It also comes with a 4GB microSD card and, of course you can use your own higher capacity cards. Tilt of the camera is controlled through the app and has a range to shoot straight ahead and also straight down to create your own unique view from the sky. And when you’re done taking your photos and videos you can wirelessly transfer them from the drone’s microSD card to your connected smartphone. The DJI Phantom 2 Vision + has a large rechargeable 5200mAh battery that will provide up to 20 minutes of flying time. It would have been great to have a longer flight time but you need to buy a second battery and have it on hand if you want to fly longer. And there is no mistaking when you’re nearing end of your charge. With 20 per cent of the battery remaining, the transmitter will sound an alarm and the usually green lights on the drone will turn red. When we heard this alarm we knew we only had a few minutes to go and turned the drone back to return for a safe landing. 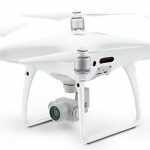 Sphere has the latest version of the DJI Phantom 2 Vision + for $1,769 and the package includes the drone and the controller. 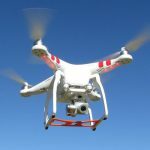 There is also a cheaper version of the DJI Phantom 2 without a camera for $920 – you can use your GoPro with this model. Another version for $1,250 has a gimbal for the GoPro for total stabilisation. The review kit Sphere sent Tech Guide included the DJI Phantom 2 Vision +, the remote control, a spare battery ($189) and spare props ($21). And it was all housed in a GoProfessional hardcase ($329) which is designed to safely house the drone, the controller, the spare batteries and spare props. The DJI Phantom 2 Vision + is flying camera that’s a lot of fun to fly and even better fun to use to create some remarkable pictures and videos. For anyone interested in photography and taking their pictures and videos to a new height in more ways than one, then the device is a must. It costs no more than a decent entry-level DSLR camera anyway and it can produces truly stunning results from an angle that no other camera can achieve. Once you’ve flown a drone and seen the resulting images and videos you’ll want to do it again and again.